a thread for all things Marvel in the Movies and on TV. 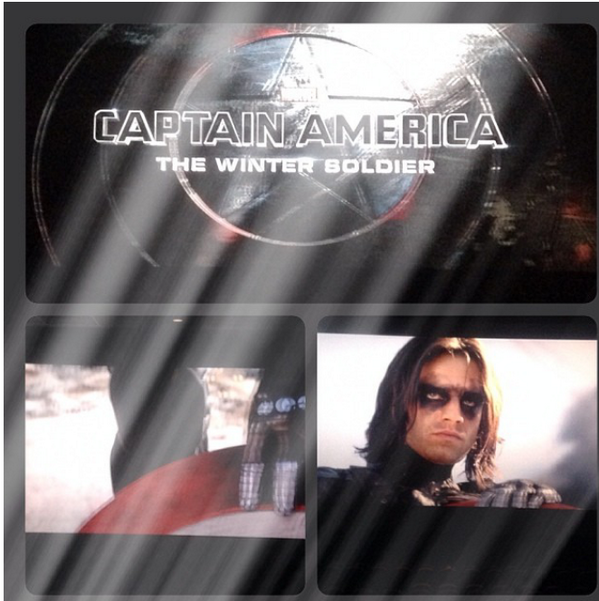 Current Storyline for Agent of SHIELD has it intersecting and running parallel with the events of Captain America: The Winter Soldier. Captain America: Civil War - Trailers: #1 | Spidey! -This is the TV equivalent of The Avengers bringing all 4 above (Netflix) Characters together onto one team for a mini-series event. -It has been mentioned that Marvel is looking to replace the use of Mutants in the Cinematic Universe with Inhumans. It is speculated that some characters that are not directly tied to X-Men but are originally mutants, may be rewritten as Inhumans to get around licensing snafu's. Kevin Fiege - Head of Marvel - also stated that they have movies planned all the way through 2021, so I would expect a Phase 4 set of movies at the very least. *Fiege has also expressed interest in finally getting a Black Widow Solo movie out, which is now possible that he managed to wrestle away control of the MCU movies from Ike Perlmutter, who is still in control of MCU TV/Netflix production. *This has led to the rumors that Kevin (MCU movies) & Ike (MCU TV/Netflix) continue to have bad blood, and it has become more likely that TV will not likely factor into the Movies to keep #itsallconnected from being a one way street as it has been up to this point, where storylines from the movies get mentioned and/or tied into by the tv shows, but not the other way around. This could all change w/ the upcoming Infinity War movies where the Russos reportedly have over 60 characters they have worked into the scripts. Spider-Man - Marvel has worked out a deal with Sony where Marvel gets to creatively make the movies, while Sony still maintains ownership of the movie property. This works by Marvel Studios basically being hired by Sony as the creative and production team, while Sony get to foot the bill, handle distribution and reap the profits. Sony will of course be paying Marvel Studios their contracted production/creative fees, and possibly even mile-stone bonuses along the way. But the important thing here is that Marvel Studios is in control of what's happening w/ Spidey in the MCU and related solo movies. The Hulk - While Marvel has the production rights to produce a new Hulk movie, it is Universal who still has "first refusal" rights to the distribution of any Hulk titled movie. Which means if Marvel makes it, Universal get to accept or deny the rights to distribute it before Disney/Marvel can distribute it on their own. This is likely the biggest reason we have yet to see a second solo Hulk movie, but Hulk works well as a co-star for now, so we can wait. X-Men (Fox) - this includes all mutants as well as the phrase "Mutant"
- apparently there is a loophole for certain characters that are not directly connected to X-Men such as Quicksilver and Scarlet Witch, but they cannot be referred to as "mutants" outside of their use with Fox and the X-Men property. Namor (Universal/Marvel?) - not sure what it takes to get this back, but as seeing that Universal has done nothing with it since they've had it, I assume that if Disney wanted it back, Universal might oblige. **Marvel technically has rights to Namor, and if a movie were to be made, it would be by Marvel Studios, BUT there are still lots of outside contracts to deal with before anything would ever break ground using the character, so don't expect Namor to just pop up in in a Marvel movie. It's more complicated than that a the moment. BURBANK, Calif., Nov. 7, 2013 – The Walt Disney Co. (NYSE: DIS) and Netflix Inc. (NASDAQ: NFLX) today announced an unprecedented deal for Marvel TV to bring multiple original series of live-action adventures of four of Marvel’s most popular characters exclusively to the world’s leading Internet TV Network beginning in 2015. This pioneering agreement calls for Marvel to develop four serialized programs leading to a miniseries programming event. The Walt Disney Company had their quarterly Earnings Call yesterday, which explains the multitude of announcements ranging from Star Wars: Episode VII's release date to the giant Netflix/Marvel deal, and In the conference call, Disney Chairman and CEO Bob Iger further elaborated on the Netflix deal and another TV project. When asked about Marvel's deal with Netflix and why that particular route was chosen, Iger said the company realized there were only so many shows they could fit on their platforms, which includes the animated shows on Disney XD and "Marvel's Agents of S.H.I.E.L.D." on the ABC network. He then went on to say that ABC has another Marvel series in development, and though he wouldn't say what character or series it is based on, we think it might be the Agent Carter TV series talked about a few months ago. The conversation continued on the Netflix deal when Iger said that due to the overwhelming amount of characters in Marvel's wheelhouse, it's simply not possible to put them all on the big screen. He then confirmed that the characters announced yesterday as having their own series on Netflix, including Daredevil, Luke Cage, Iron Fist, and Jessica Jones, are "not among the most popular" and were likely never going to be in a feature film anyway. Iger then added that should their respective series be well received on the Netflix platform, however, feature films for the individual characters aren't out of the question. 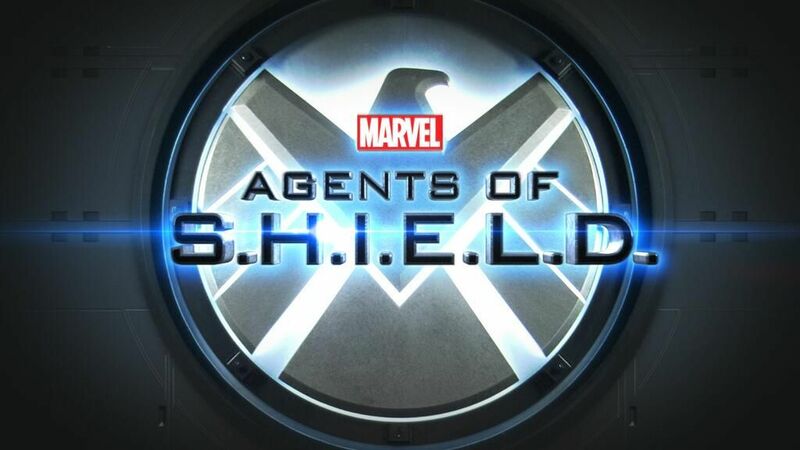 An upcoming Agent's of SHIELD episode "The Well" that is set to air in 2 weeks will be a tie in to the just released movie Thor 2: The Dark World. I am not impressed with Shield. I'm really hoping that at one point we get a totally original property in the cinematic universe. You mean a character that wasn't previously in the comics? Wouldn't Agents of SHIELD technically fit that bill? Technically, but what we're getting is a bunch of one-shot enemies and characters. I want one to go from AOS, into the netflix series (maybe? ), and evolve into a phase 3 movie of its own. The closet thing your going to get to that is the One shots dude. You may get a mini series with new charcaters based around frontline as a replacment for the daily planet though. I mean if I see an Orginal IP get on the screen before Cap Marvel i'm going to punch someone in the face. In other new ABC is already working on another Marvel series which probably's going to be the Agent Carter series that was tossed around. I'm down for weekly Peggy Carter but something in the past would be better off being a netflix series. Also the Netflix deal charcaters were never going to get their own films doing to lack of popularity. So I haven't seen Thor yet but read the spoilers. When is oay to take about the film? I think there is too much Marvel lore to really make something new up for a major role when they have dozens of other characters that fans will recognize that will also fit in perfectly with a few small alterations to motive, association and origins. I'm just hoping that the new Netflix series are able to take a page from AoS, but insert it in the book from Arrow and put it on a shelf for a mature audience. The new shows need to tell their story, keep the filler to a minimum, add small moments of humor, but ultimately have a goal they are trying to reach at a pace that keeps things interesting. One thing Arrow did that helped it alot was add the history of how we got to this point in the flashback mode inbetween bits of where we are now. Telling the bits of the past while they are relevant to the events of the future really helped the show keep things moving by not focusing on the past for too long and only selecting out the most interesting parts of the origin story for bite size consumption. Now who do we think is up for casting of the lead roles? Who do you think would be a good Daredevil? Luke Cage? Iron Fist? Jessica Jones? Agent Carter is already up in the OP, they said they were working on it, and the lead pretty much confirmed it without actually saying yes we are developing it right now. As long as you spoiler you spoilers, go ahead and post about it. I plan on watching it this weekend. Daredevil: I don't know, tough one. Iron Fist: Justin Harley, aka Green Arrow from Smallville. I'd rather them go with all Unknowns tbh. I think Justin Harley works for Iron Fist but not sure Jackson can do the more deadpan serious Luke Cage of Modern times. What happened to Old Spice Guy being Luke Cage? By the way, saw Thor at the 8 o'clock showing last night. 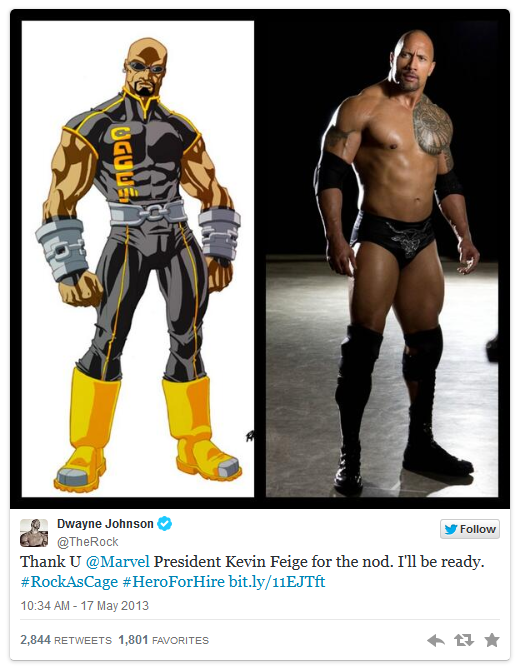 don't forget The Rock also expressed interest in the role. But I'm not sure The Rock would still be interested unless he was guaranteed a movie or inclusion in Avengers 3 or something. The only scripted TV he has done is WWE, so I'm not sure if he feels he is still too big to go back to TV outside of WWE appearances. Although he would get a bunch of people to atleast tune into his and all connected Netflix series just by his name being attached (assuming it's any good of course). It looks like Thor opened at an estimated $31.6M on Friday. That's a strong opening. I'm gonna estimate $85M for the weekend domestic? It supposedly has a $170M budget and already made $100M overseas in the first week. Any idea off the top of your head what the opening weekend of the first Thor was? had a $150M budget and grossed $450M WW. Looks like it's doing better then. Good - it deserves it. It's way better than the first. I didn't have anything against the first one, but I really liked the second. 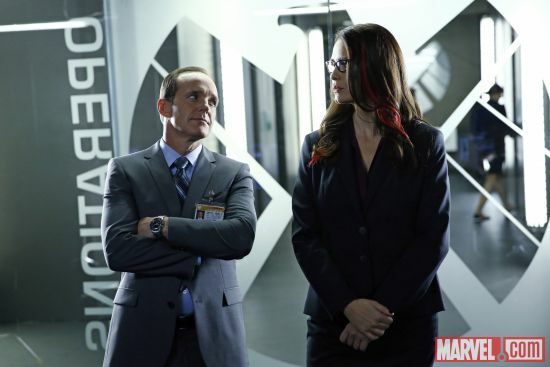 Next week's episoide of Agents of shield is introducing Level 8 as well as Victoria Hand. and the Tuesday after that, 11/19/13, is the tie in to Thor 2: The Dark World episode. So that gives everyone just under 2 weeks to have seen Thor 2. I can't see Hunger Games for the midnight release. Stupid Zelda concert. Has Maria Hill been in AoS yet? 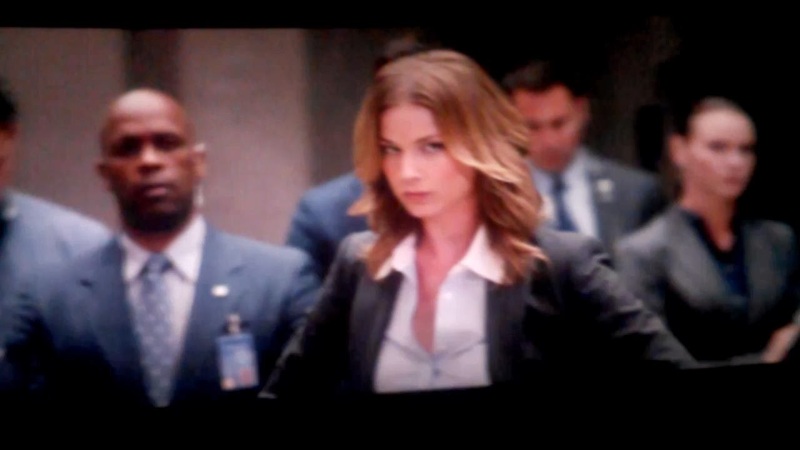 She showed up in the first episoide to brief agent ward about level 7. Planning to go see thor sometime this week maybe after class tomorrow. that plays *EXCLUSIVELY* in front of the 3D version of Thor 2. I'm on my phone, so I can't see if the video works or not, as my mobile browser don't support the codec.